Currently there has been political furor over the announcement of a Carbon Tax scheme. Some may have read about it in the newspaper but sometimes it is difficult to dig through and find the facts. Back in 2011, the Australian Parliament passed a law to put a price on carbon pollution. This reform includes a carbon pricing mechanism and will provide support for jobs and competitiveness and Australia’s economic progress while also reducing pollution. Households will be responsible for increased payments that will be delivered through tax reforms. The changes are seen as an important step in environmental and economic reform in Australia. Australia now aims to be a bigger player in the global effort to combat climate change and reduce our carbon footprint. The government also alleges that the reforms will enable Australia to be advantageous in the environmental reform since economic and job opportunities are expected to open up as the world joins the effect to shift to clean energy. The plan will first start with the introduction of a carbon price. Innovation and investment in renewable energy will be consistently promoted as well as energy efficiency. Opportunities will also allegedly open up in the land sector to cut pollution. Some may ask ‘what exactly brought this movement on? ‘These changes are the result of a study conducted by the CSIRO, The Bureau of Meteorology, and various international Academies of Science. The findings of these groups reveal that the world is warming and high levels of carbon pollution risk environmental and subsequently, economic damage. Studies have indicated that 2001-2010 was the warmest decade ever recorded and each decade since 1940 has been warmer than the preceding. In Australia, serious environmental and economic costs are expected to result from a warmer, less-stable climate. An increased occurrence of extreme weather events, such as droughts, heat waves and forest-fires could have a serious and negative impact on the environmental and economic state of Australia. The Fixed Price Period– the pricing mechanism will begin on 1 July 2012. The price will remain fixed for three years at $23 per tonne. It will then rise at a rate of 2.5 per cent each year in real terms. 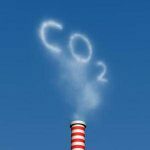 Emissions Trading Scheme – on 1 July, 2015, the carbon price will become a flexible price under an emissions trading scheme and the price will be decided upon according to the market. Discovering the various ways in which to lower your business’ carbon footprint and ensuring environmental sustainability will also lead to economic sustainability. It is important for everyone to understand this issue for the benefit of not only Australians, but also the international community.